Would you like to provide your feedback for the practice? to use my feedback form. Denise is an excellent practitioner. She has expert knowledge and experience in a variety of areas. She is clear and direct in diagnosing a problem and the treatment needed. I was throughly relieved to find out what was causing my pain and she provided the appropriate treatment and exercise plan. She follows up but does not continue appointments that are unnecessary. I would highly recommend her to anyone with a muscular or skeletal complaint. Professional and very competent therapist. I was always scared to let anyone touch my neck spine (bad experience). Denise understood my worries and very gently treated my stiff neck. I am happy that I found her. Having been recommended to me, I have found Denise to be knowledgeable, understanding and practical with the treatment for my shoulder pain. She responded promptly to my initial phone call and treatment started that same week. Would highly recommend. Denise was very professional and helpful when I consulted her with pain in my right leg. Following detailed note taking, Denise investigated the problem with physical checking. Before further treatment Denise requested an X-ray so she could be sure that the treatment I receive is correct. I found Denise very thorough and professional. I will return for physio treatment to Denise if the X-ray shows it to be appropriate. Denise Coleman is a well-known and highly respected local physiotherapist, both to her many clients and the wider medical profession with whom she has close links. I have sought her help on two occasions. Six years ago, I incurred acute back pain,extending to the groin, from lifting heavy furniture and gardening so consulted my GP who sent me for an X-ray. The X-ray, which is unable to view soft tissue, revealed there was no fracture and the pain was therefore treated as muscular for which I was prescribed pain killers. The pain persisted so I then consulted Denise who diagnosed a slipped disc with the soft tissue pressing on the spinal cord. This is a potentially a dangerous condition and she immediately contacted my GP. From then on, matters moved swiftly from MRI scan to appointment with a consultant neurosurgeon she had recommended and, within two days, was admitted to hospital and operated on successfully. It was a particularly stressful period because many of the orthopaedic and neurosurgeons she had recommended were on their summer holidays, so was very lucky to secure the services of a particularly gifted surgeon. Throughout this period Denise remained in touch and, once I had recovered sufficiently, started a course of physiotherapy, initially at her clinic and subsequently on my own at home. Within 3-4 months I had fully recovered, which surprised even the surgeon who, given my age, had predicted a 90% regain of original strength. The second consultation with Denise was more recent when I fell backwards pulling a heavy wheelie bin and experienced a sharp pain as I tried to get back up again. There was no pain in the spine itself and I booked an appointment with Denise but saw my GP beforehand who treated it as muscular and recommended an X-ray 'just to be sure'. The X-ray revealed a fracture and, given my history, I was immediately admitted to A&E for further tests and later to the hospital overnight for 'observation'. On contacting Denise to cancel the appointment, and explain what had happened, she immediately sent my wife a series of text messages with practical advice and questions to ask the physicians handling my case. Fortunately, I didn't need an operation this time as the collapsed vertebra was deemed 'stable' and likely to heal itself given time. Again, after a few weeks, the pain largely disappeared and I commenced a series of physiotherapy exercises to strengthen the muscles, as per last time. What all this reveals is that Denise Coleman is a dedicated practitioner who is a very experienced and professional in all she does and who, at times, provides a service which goes well beyond the call of duty. Very professional, experienced and honest service, from email enquiry, assessment and follow-up with PT momentum app. I was extremely pleased with my service and plan going forward. Denise was very quick to diagnose 'poor scapula control' where others have misdiagnosed as a rotor cuff tear. I would not hesitate to recommend. I've visited Denise on and off, for a couple of different ailments over the last few years (as has my husband). She's been absolutely brilliant – she's very experienced and has helped us enormously. Highly competent, professional and very experienced practitioner. Efficient service of a high standard, easy to park and access and easy to pay. Complete confidence in this senior practitioner and complete trust in her professionalism and ability. I have consulted Denise on a number of occasions, each time with a positive outcome. 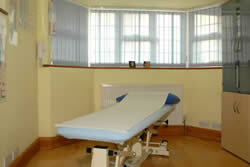 Her extensive medical knowledge and meticulous approach to diagnosis is effective and refreshing. She is a dedicated, enthusiastic professional, and I would definitely recommend her. I am writing to thank you for helping me to sort out the problems with my right knee, after coming to see you around this time last year, with pains just under my knee cap, and a tight ITB. I felt compelled to just let you know how I have got on since my treatment concluded with you. I thought it would be good for you to know. Over the last year, the main factor that has contributed to the improvement of my knee condition has been regular cycling. Every weekend (apart from one or two - and through the Winter months), I have cycled from home (Banstead) to Box Hill (up the Zig Zag Road) and back. This is a trip of around 18 miles (I have all the measurements on my Garmin GPS). Slowly but surely, this has resulted in an increase in the muscle mass on both my upper legs, the right one more so, and the nerves in the fat pad just below my knee cap are no longer complaining. So, just last week I decided to buy a better/lighter racing bicycle and I have really taken to the Sport, much more than I ever thought I would. The benefits to my well-being and health have been, and are tremendous. So, I thank you most sincerely for helping me and putting me on the right road of recovery, in more ways than one. Denise has seen me for several sessions now about a back complaint. I was impressed by how thoroughly she got to the very root of the problem within the first session and miraculously made the problem 80% better immediately. I wish I'd seen Denise sooner and can highly advocate making an appointment.